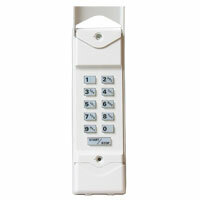 The Model DTKP Keypad Transmitter is one of Linear’s Delta-3 series of wireless radio controls designed for use with automatic garage door and gate operators. The Delta-3 radio format provides 256 different codes. You can view or download the following Linear DTKP keyless entry programming instructions.